Woodpeckers is at the end of a track so that gives us total privacy and peace and quiet. 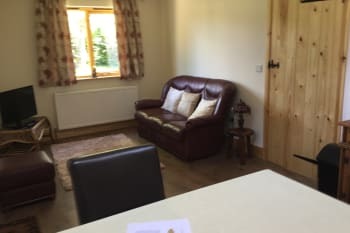 We have a selection of cottages to choose from Woodpeckers cottages has two bedrooms one double one king size or can be twin two bathrooms a sitting room and kitchen. Green woodpeckers king size bed or twin kitchen and bathroom . 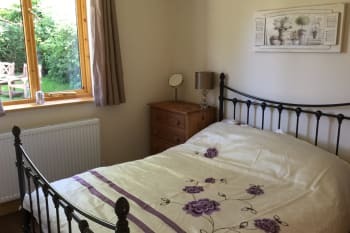 Nut hatch cottage sitting room bedroom and bathroom with bath and shower. Yaffles cottage. 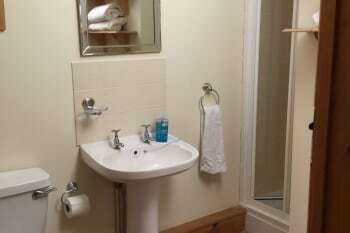 Sitting room bathroom with walk in shower and double bedroom. All cottages toddler beds and cots can be added. 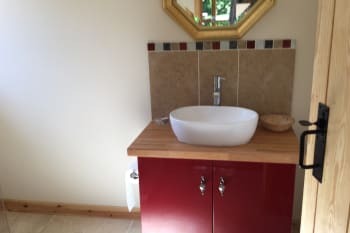 All,on a bed and breakfast basis but prices can be reduced in woodpeckers cottage and green woodpeckers for self catering. Each cottage has its own front door so you have complete privacy during your stay. There are no rooms available at Woodpeckers B&B for these dates. Enjoyed it immensely. It was a beautiful location topped with friendly welcoming hosts, Sue and Brian, who cooked a delicious brekkie! The Cottage was just what we wanted and more. Amazing surroundings which is teaming with wild life, and if you like animals Pancake the sheep will make this stay for you. Perfect stay all round! Lovely clean rooms, lovely hosts made us feel very welcome. Yummy breakfast options! B&b was a bit hard to find though, maybe could do with some more signage? We had a lovely, lovely time meeting Sue and Brian. Wonderful hosts and Sue was so lovely with my daughter, Scarlett. Ice cream at Sundae's Child in Romsey, take a bike ride through the forest in Burley, and of course Peppa Pig world! 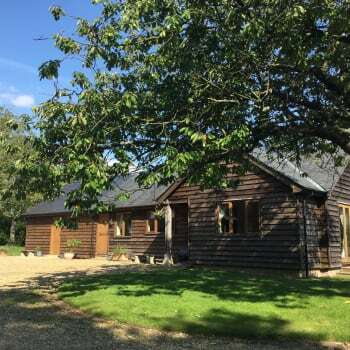 a stunning self contained 'cottage' hidden away from any main roads/noise. Sue and her family were very friendly and helpful, breakfast was made to order, plentiful and delicious! We would have liked to have had the self catering cottage but this was unavailable, we will hopefully book that one when we return! Thank you for a lovely weekend. Very kind, friendly and welcoming. Thank you. Prezzo in Romsey is a very nice place to eat in an interesting building. We had a lovely stay and a super breakfast. Sue and her husband were very friendly and welcoming. The lodge is beautiful and well maintained. It was spotless inside and the little touches like a jar of sweets and biscuits were lovely. The grounds were peaceful and the staff were friendly and happy to help, they made you feel at home. 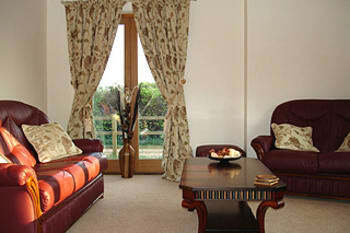 It's with in 10 mins drive of both paultons park and marwell zoo. Warm welcome, nothing too much trouble. Great place for young children, the little touches like the Frozen themed cutlery and the children's bedding were much appreciated by our grandaughter. Lovely breakfast. We will definitely stay again. Paultons Park great fun but avoid Peppa Pig World too early in the day if you don't want to queue for the rides.. We ate in the Cromwell Arms, nice food but service slow. The New Forest is very close by. Only used the B&B for one night stays before picking up cruise ship in Southampton, but would definately recommed it. Very clean, lovely quiet setting and excellent hosts. 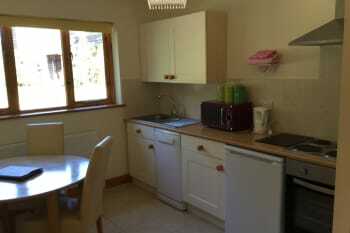 Lovely location, nice welcome including fresh milk and eggs in fridge. Good breakfast and helpful friendly hosts. We spent two nights at Woodpeckers and really enjyed our stay, its relaxing atmosphere, comfortable accommodation and great breakfast, Sue and Brian did everything to make us feel welcome. Brian drew us a maps of places to visit and they were great. Its łopatek 15 min drive to Peppa Pig World and New Forest is right on the doorstep. We will definitely be going back! Thank you Woodpeckers! Lovely cute cottage with amazing hosts. Breakfast is hearty and delicious. Look for the red phone box when coming in. Romsey town is 10 minutes away. Paultons park is 15. It's all very well located. 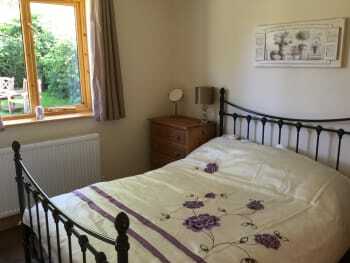 Beautiful peaceful location - comfortable accommodation, particularly the bed. Delicious breakfast. We appreciated the fridge. 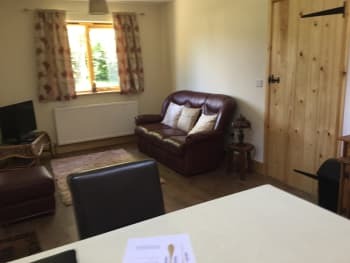 As there is a fridge, microwave and dining table we feel it would be helpful to provide plates and cutlery just in case people do want to eat in in the evening. If we are cruising from Southampton we always stay at Woodpeckers if we can. Brian and Sue will give you a warm welcome and nothing is too much trouble for them. Wonderful, quiet location and lovely breakfast in the morning! This is a good place to stay, facilities and privacy are very good. Nearest eating place, a pub is 2+ miles away. Car essential. 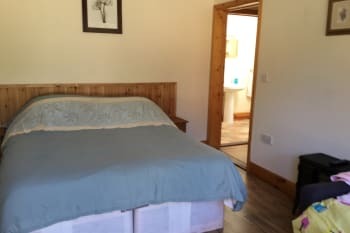 For a B&B this is outstanding - privacy, living and sleeping space in clean, well furnished accommodation. All set in peaceful and pretty surroundings, with excellent breakfasts! Ideal as a base for the New Forest, or to avoid staying in Southampton. Also note Woodpeckers provide self catering accommodation for longer stays. Thanks for the hospitality in our limited time with you. New Forest Wildlife Park was a good morning out! Sue and Brian could not have been more welcoming to us and we greatly appreciated it. The accomodation was clean, well stocked with what we needed and was a lovely place to stay. The breakfast was delicious and the cherry on top was letting our children feed the lambs they have in the field. We look forward to coming back! we would highly recommend woodpeckers b&b. Sue & Brian were very friendly. Nice breakfast, with a good choice. Very child friendly too. Peppa pig world is worth a visit. Fabulous place - great for visiting Paultons/Peppa Pig World. Huge breakfasts, comfy bed, and friendly owners. Wonderful accommodation and extremely helpful staff. We will certainly be returning the next time we need to stay in Hampsire. I cannot recommend Woodpeckers highly enough. Ideal if you are taking the little one to Peppa Pig World or you just want a quiet break. Perfect for pepper pig world a home from home. You are not confined to one room, plenty of safe open space for the little ones to run around in. Romsey town is lovely for a walk around plenty of nice places to eat. We loved Woodpeckers B&B. Lovely location and Sue and her husband were very helpful. Breakfast was lovely and will come back again. Many thanks. The nuthatch doesn't have a kitchen but has a full size fridge and little table for all essential/picnic things and the bedroom easily fits 3 with a z bed for a toddler! We really enjoyed our stay. 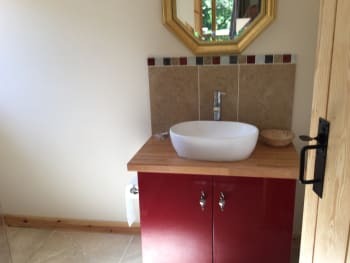 We would recommend that a sign be put at the end of the road to assist in finding the property and it would be great if the pressure in the shower was a bit stronger, but other than that, we would fully recommend staying at Woodpeckers!! The Star pub serves a great burger and chips and the Sir Harold Hillier gardens are definitely worth a visit. Sue & Brian are really friendly & welcoming. They were really lovely with our girls (one who is 3 the other 1). When we left, our eldest asked, 'when are we coming back here?'. The rooms are great, clean & enough space. Breakfast was really good. Novelty ideas on serving breakfast to campers - definitely made us want to come back & explore the area more. Very friendly hosts, very clean rooms, excellent breakfast. Would stay here again! Print out the directions on the Woodpeckers website as you will need these especially when arriving at night. Brillant location to stay if visiting peppa pig world place to go if u have a peppa pig fan, it was amazing. They were very lovely facilities. The accommodation was perfect for our two night stay in September. Woodpeckers is in a secluded position but is nonetheless conveniently located for access to the M27 and of course Peppa Pig World (the reason for our visit). There were some very nice little touches such as the Peppa Pig duvet cover on the spare bed, jigsaws in the lounge area and plate at Breakfast, which immediately endeared our 3 year old to the accommodation- she felt right at home from the off. The only draw back was the lack of a kitchen / kitchenette facility (although we did have tea and coffee making facilities and a small fridge). This was not a problem for us as we were only staying two nights but might be difficult for a family staying for longer. Brian and Sue's hospitality is great- they are welcoming, helpful and friendly. All in all a very good experience and we will be recommending Woodpeckers to friends / family travelling to the area. We chose this accommodation as it was close to Peppa Pig World, which was absolutely brilliant. Our three year old loved it and we comfortably spent a day there without her getting bored. Our tip for Peppa Pig World is to take your child's swimming costume and towel for the 'muddy puddles' area! The location generally made it very easy to visit surrounding places including Salisbury (1/2 an hour away), Bournemouth and even Portsmouth (about 45 minutes away) where the new Gunwharf Quay development is worth a visit for some retail therapy! Really friendly service Sue was lovely and we will be returning again next year! There is minimal internet service and signal so be prepared to get cut off from the world. Beautiful location, lovely accomodation. Brian and Sue Hatch were so friendly and helpful. Sue's breakfast was delicious! The surrounding farm was a delight to my daughters, I just wish we could have stayed longer. We really enjoyed our stay, accomadation was to a high standard,peacefull setting. Sue made us feel really welcome plus the breakfast was very good. We will be staying agin in the near future.....THANK YOU. Near Romsey with all its restaurants shops pubs if you want a busy time or just relax in the nice surroundings where you really do have everything you need to get away from it all. Gave the impression that nothing was too much trouble. Breakfast brought to us was great. Hope to visit again. Prezzo restaurant great for getting in and out with kids nice and quickly (main arrived seconds after starters had been taken away) but maybe a bit rushed if it was a romantic meal for two. View from Lepe beach to Isle of Wight stunning on a sunny day! We absolutely loved our stay and we didn't want to go home. Our children were very happy and loved the animals. We are definately going back! 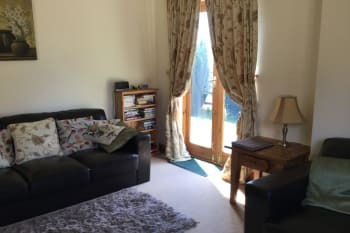 Sue and Brian run this B&B to such a high standard you can see why the guest book has the same names in it returning time and time again.Love the peaceful setting and the great breakfasts. You must visit Carols Carvery,all cooked fresh and you can actually taste the food(not like a Toby), fantastic garden and its very quirky inside. Recommend to the highest level- my daughter loved it! Great place, great location and great welcome! Everything you need is there! A very welcome and friendly place, breakfast was fantasic. Sue and Brian catereed to our needs and would certainly return again. Great place to stay, loved the small farm and animals. Very relaxing and very close to the new forest. Great breakfast and lovely people who run the B&B. Great location, Romsey is a lovely town. Very close to new forest. Would recommend the Cromwell Arms and also Carols Carvery to eat at, both children friendly! Home from home, friendly, welcoming, down to earth, a couple of nice people. All the best Sue & Brian, love Mark & Jane. We really enjoyed our stay, The owners were helpful and the breakfast and accommodation excellent . Above all the setting was perfect and we will be recommending Woodpeckers to our friends and family. We will be back again as soon as we can! We enjoyed our stay at Woodpeckers and found it provided us with everything we needed for our two day stay. Sue was a perfect host, being very friendly and approachable. The breakfast was very good. Salisbury with its magnificant cathedral is a lovely city and well worth spending a couple of days. The park and ride is on the short journay from woodpeckers and easy to use. Absolutely Fabulous- Brian & Sue are so warm and welcoming. They gave us lots of information on the area drawing us maps and leaving useful leaflets in our room. 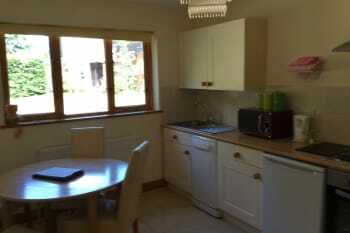 The cottage was lovely and quite spacious. Very quiet and relaxing. We will be returning in the near future and would recommend this. Breakfast was also fantastic! Woodpeckers is truly 5 star! A beautiful, immaculately clean 'cottage' in a peaceful location. Our hosts, Brian and Sue, were very friendly and welcoming, and the breakfast was delicious. I have already recommended this B&B to friends and work colleagues, and we will definitely return. The Hatchet pub, Romsey Abbey and Mottifont are well worth a visit, as is Beaulieu. Sue made me very welcome. Very clean & spacious rooms. Good bed. Great breakfast & menu. Pity about the pot holes on unmade road leading up to Woodpeckers. A sign from Newtown indicating direction of Woodpeckers would have been helpful. Ask for location map of Woodpeckers in relation to Newtown. Absolutely first class. 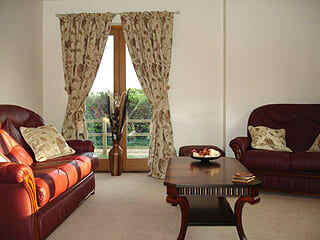 Lovely quiet peaceful area, fantastic facilities, very clean and comfortable, and welcoming hosts. Would wholeheartedly recommend it to anyone. Lovely to have a separate lounge and wonderful, tasty breakfasts. Good to have a vegetarian hot food option which many bed and breakfasts choose to ignore so we didn't feel second best. A real 'getaway from it all' place. n/a didn't spend enough time in the area to find out. Friendly welcome and brilliant breakfast as always. I hope to stay again. We throughly enjoyed our stay and the location was perfect for the wedding we were attending. 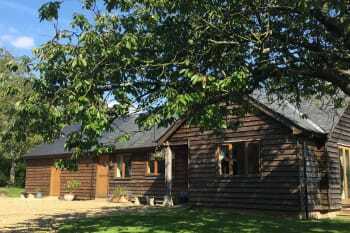 We were only there for one night but would certainly stay again and recommend Woodpeckers to our family and friends. Amazing home cooked food! Really was a treat! Especially the meals at night, the cheesecake was to die for!! (please can you email me the recipe?) Loved being waited on in the caravan. Directions were really helpfull too. Very friendly atmosphere. For rainy days eastleigh complex is only 20mins away - cinemas, monkey bizness, nandos/frankie& bennys. paultons park round the corner, & docks 30mins away. Excellent breakfasts and friendly hosts. Exceptional hospitality and accommodation provided by Sue and Brian. We will definitely be returning. Woodpeckers is down a gravel road, with no through-road, so it is a very quiet and tranquil location. The only downside to this was there isn't much within easy walking distance. Nice clean and light rooms. Nice bathroom. Great breakfast. Nice owners. Not so good was the tiny noisy fridge and the non-digital television which limited you to about 5 channels. But you probably aren't visiting the New Forest to sit inside and watch TV. Very friendly people, in a quiet location with good food. Paultons Park, very worthwhile visit if you have children below 10. Could not be more welcoming and friendly whilst remaining unobtrusive. sue and brian go out of the way to help in anyway that they can. hatchers inn is a excellant place to eat 5 mins away from woodpeckers. Absolutely perfect, wish we could have stayed longer!! A beautiful and spacious room with a delicious breakfast. What was said to be a 10-15 minute walk turns out to be a 1hrs 15 min walk but a small criticism ad are great hosts.